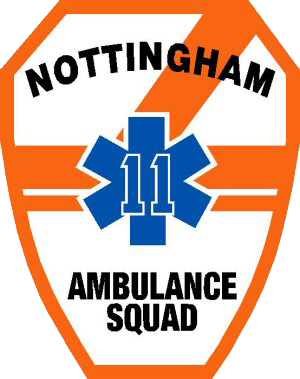 Nottingham Ambulance Squad helps Elks Lodge with Walk out on Drugs! The Walk Out on Drugs is a community event to show solidarity in the fight against drug and alcohol abuse. March is National Nutrition Month! Learn some Health and Nutrition Tips!! February-National Heart Month! Know the warning signs of a Heart Attack! Winter Weather Preparedness- Stay Safe and Plan Ahead!! According to FEMA, only 39 percent of American adults have developed a disaster emergency plan and discussed it with their household. Enjoy your outdoor exercise while keeping an eye on your safety! Stay safe, live well! What are the best foods to fight aging? Although all of the foods mentioned above are appreciated for their significant health benefits, we should not forget that well-being and longevity cannot be achieved without a balanced, inclusive diet and a healthful lifestyle. Moreover, current studies suggest that our genetic makeup may have an important say as to which foods work best for our health. So, keeping our list of nutritious foods in mind, make sure you follow the healthful diet that is most effective for you! If you are concerned that you have a medical condition that is causing you to feel tired, arrange an appointment with your healthcare provider to discuss your worries as soon as possible. Daylight Savings 2018: When do US clocks go forward and why do we have it? St. Patrick’s day calls for drinks with friends, a heap of green, and a healthy dose of responsibility. With that formula and the above tips, you can make March 17 a greater and safer night out for you and your loved ones. American Diabetes Association Diabetes Alert Day ®, observed annually on the 4th Tuesday in March, is a 1-day wake-up call to inform the American public about the seriousness of diabetes, particularly when diabetes is left undiagnosed or untreated. Diabetes Alert Day 2018 will be observed on Tuesday, March 27. Whether it’s making a “Merry Christmas!” phone call from behind the wheel, rushing to the next holiday party or indulging in some rum eggnog prior to hitting the road, here are some of the most dangerous behaviors drivers exhibit during the holiday season. Holidays are clearly some of the roughest terrain we navigate after a loss. The ways we handle them are as individual as we are. What is vitally important is that we be present for the loss in whatever form the holidays do or don’t take. These holidays are part of the journey to be felt fully. They are usually very sad, but sometimes we may catch ourselves doing okay, and we may even have a brief moment of laughter. You don’t have to be a victim of the pain or the past. When the past calls, let it go to voice mail…it has nothing to say. You don’t have to be haunted by the pain or the past. You can remember and honor the love. Whatever you experience, just remember that sadness is allowed because death, as they say, doesn’t take a holiday. Even without grief, our friends and relatives often think they know how our holidays should look, what the family should and shouldn’t do. Now more than ever, be gentle with yourself. Don’t do more than you want, and don’t do anything that does not serve your soul and your loss. Although Christmas tree fires are not common, when they do occur, they are more likely to be serious. Carefully decorating your home can help make your holidays safer. Opioid pain-killers and drug overdoses are the leading cause of accidental death in the United States. If you suspect you home may have carbon monoxide, call 9-1-1 immediately. Fried turkeys are delicious, but they come with a slew of safety issues. Thousands of fires as well as many deaths and injuries happen each year due to turkey fryer fires. Before you set up your turkey fryer this Thanksgiving, remember these safety tips. The theme of World Diabetes Day 2017 is Women and diabetes - our right to a healthy future. All women with diabetes require affordable and equitable access to care and education to better manage their diabetes and improve their health outcomes. Vaccine Effectiveness - How Well Does the Flu Vaccine Work? The large numbers of flu-associated illnesses and deaths in the United States, combined with the evidence from many studies that show flu vaccines help to provide protection, support the current U.S. flu vaccination recommendations. It is important to note, however, that how well flu vaccines work will continue to vary each year, depending especially on the match between the flu vaccine and the flu viruses that are spreading and causing illness in the community, as well as the characteristics of the person being vaccinated. Halloween is a holiday that children and adults alike can enjoy. Who doesn’t love costumes, candy, and scary stories? But Halloween can also be a very dangerous time to be a driver and a pedestrian. If you have to drive this Halloween, follow these driving safety tips. Fall celebrations like Halloween and Harvest Day are fun times for children, who can dress up in costumes, enjoy parties, and eat yummy treats. These celebrations also provide a chance to give out healthy snacks, get physical activity, and focus on safety. Keeping hands clean through improved hand hygiene is one of the most important steps we can take to avoid getting sick and spreading germs to others. Many diseases and conditions are spread by not washing hands with soap and clean, running water. If clean, running water is not accessible, as is common in many parts of the world, use soap and available water. If soap and water are unavailable, use an alcohol-based hand sanitizer that contains at least 60% alcohol to clean hands.When should you wash your hands? A concussion is a type of traumatic brain injury—or TBI—caused by a bump, blow, or jolt to the head or body that causes the head and brain to move rapidly back and forth. According to the FBI, “Bullying remains one of the largest problems in schools, with the percentage of students reportedly bullied at least once per week steadily increasing since 1999.” Additionally, cyberbullying has become more rampant and has contributed to the suicides of multiple children. The Internet has unleashed meanness to a degree unseen before. Thanks to the accessibility to the Internet and the affordability of new technology, bullies now have multiple ways to harass their victims. The current generation has the added ability to use technology to expand their reach and the extent of their attacks exponentially. As summer draws to a close and children start heading back to school, family life can get pretty hectic. It's important to remember – and share with your children – some key tips that will help keep them safe and healthy throughout the school year. Dog Days of Summer - Are you aware of Heat related issues? For more information, read the Red Cross Heat Wave Safety Checklist. Tags: Heat, Health & Safety. We have many opportunities for membership, including contributing members and active riding members. If you are interested in joining, please visit our website and complete the membership application. As the warm weather approaches and thoughts turn to getting away for a few days, being safe while on summer vacation helps ensure that you and your loved ones only have good memories of your time away from home. There are many things you can do to keep yourself, your family and your valuables safe. Great Article by Patrick Black for EMS Week! May is Motorcyle Awaremenss Month!